Benjamin Lawton Willingham acquired the property (1, p. 3). 1857-1859  Benjamin Lawton Willingham built the plantation house (1, p. 2). 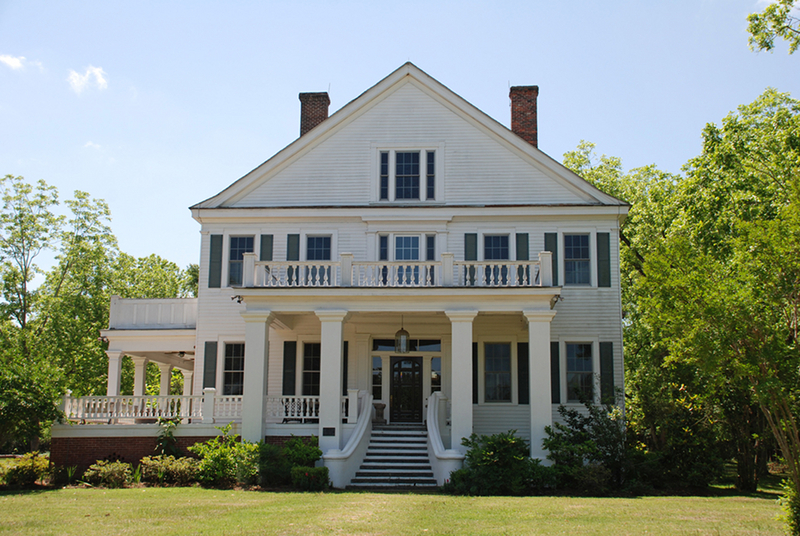 Circa 1864  Benjamin Lawton Willingham gave Gravel Hill Plantation to his daughter, Phobe Willingham Malone (1, p. 3). 1865  Brigadier General Judson Kilpatrick, a member of General Sherman's staff, spared the house because it had been used as a hospital for Union troops as they passed through the area (4). 1888  Phobe Willingham Malone sold Gravel Hill to Charles Edward Bryan (1, p. 3) (4). 1889  William Zorn Bryan acquired the plantation from Charles Edward Bryan (1, p. 3) (4). 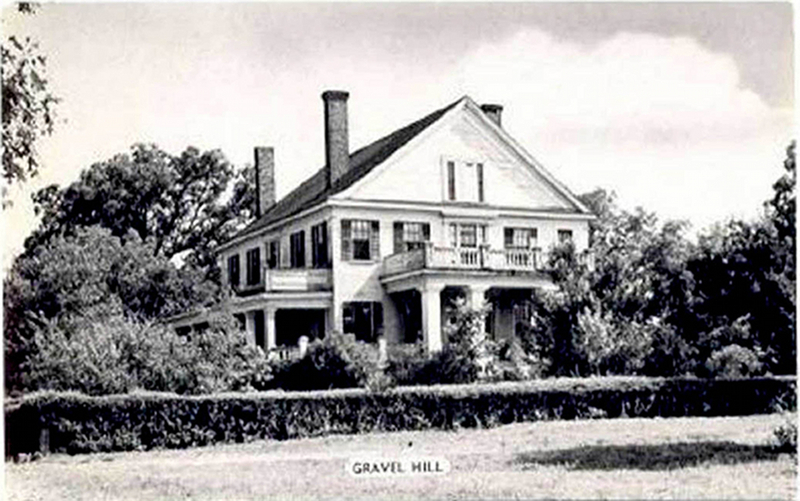 1936  George Easterling Bryan was the next owner of Gravel Hill Plantation (1, p. 1) (4). 1970  Jim Preacher Bryan became the plantation's owner and was the last Bryan baby born at Gravel Hill (4). 1993  Jim Preacher Bryan sold Gravel HIll to Clayton New (4). 1996  The plantation was sold to Suzanne Oswald Cordray, a great-granddaughter of Charles Edward Bryan (4). 2001  The plantation house was renovated (4). 2003  Gravel Hill Plantation was purchased by Frank E. Guidobono (4). Number of slaves  Benjamin Willingham had 75 slaves. The plantation house originally had 15 rooms. It is in good condition, thanks to a major renovation completed in 2001. The original dining room and living room were eliminated during this renovation. Information contributed by Jim Preacher Bryan, the last member of the Bryan family born at Gravel Hill.